3 Can You Eat Hard-Boiled Eggs Even Though the Shells Are Cracked? 4 My Hard-Boiled Eggs Are Soggy in the Middle: What Happened? Eggs are nutritious. They can be enjoyed as a main dish, in salads, or as a snack. Eggs are an important ingredient in many recipes. They are convenient, easy to prepare, inexpensive and portable when hard boiled. One egg contains about 75 calories, 6 to 7 grams of protein, plus many vitamins and minerals. They are low in fat, low in sodium, and versatile. Before preparing eggs in any way make sure to use fresh, refrigerated, clean, sound shelled, Grade AA or A eggs. Store uncooked eggs on a shelf in the refrigerator in the carton, not in the door. Eggs that are a few days old make better hard boiled eggs. Put in a sauce pan and cover with 1 to 2 inches of cold water. A teaspoon of vinegar will help if the egg cracks. Bring to boil, reduce heat, remove from heat, then cover for 12 minutes. Hard boiled eggs should be eaten within one week. 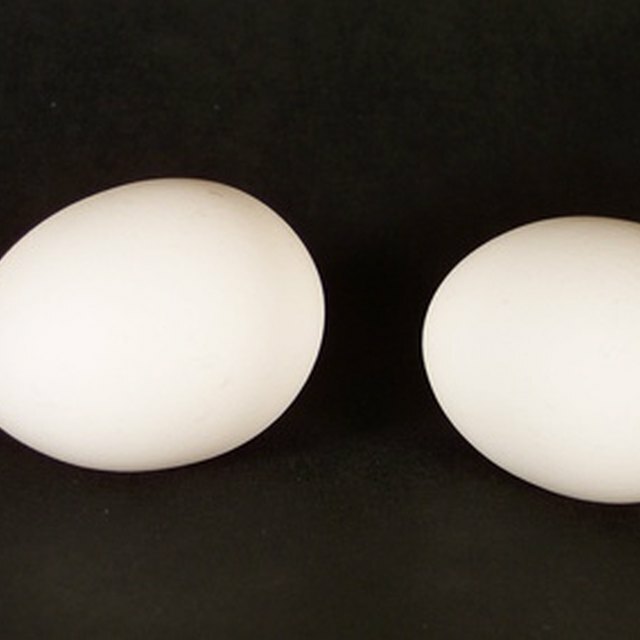 Egg shells are porous, and when boiled, the protective coating of mineral oil used by the processor is washed away. Hard boiled eggs can pick up bacteria, odors, and an off flavor. Hard boiled eggs should be cooled and refrigerated within two hours of cooking. A rotten egg is easy to spot and smell by its bad odor and off coloring. Gentle boiling makes a better hard boiled egg. Cooking too long or with too high heat can cause a green ring (unsightly but not unhealthy) around the yolk and make the white rubbery.